Henrik's got some fancy new hardware to hang up after this weekend. Henrik Harlaut won the Men’s Ski Slopestyle in fine fashion today at the 2018 Winter X Games in Aspen, Colorado. After his win in Big Air last night, Harlaut becomes just the second skier to win both Big Air and Slopestyle at one X Games. Harlaut put down his winning run on his first of three attempts, lacing a complicated rail section including a left 270 on, pretzel 270 out; right 450 on, 450 out; and switch left 270 on, 360 swap to switch, before blasting into the jump section with all cylinders firing: switch right double cork 1080 Phil grab, switch left triple cork 1260 mute, and a left nosebutter double cork 1260 blunt on the final jump. His top score: 93.00. Coming in second was last year’s winner Øystein Bråten, buoyed by a pair of left and right switch double cork 1440s, while Switzerland’s Andri Ragettli claimed third place while becoming the only skier besides Harlaut to land a nosebutter triple cork 1620—a trick he stomped effortlessly in all three runs. Ragettli’s jump section in particular had the caliber of a gold medal, but his rails included some stock tricks, like a lip on, blind 270 out and a k-fed, which certainly knocked his score down the few points that separated him from the win. Sorry Andri, last time we checked Tall T Dan isn’t an X Games judge—you might want to rethink that lip blind 2. Other highlights included James Wood’s huge switch triple cork 1440 to the absolute bottom of the landing of the final jump, and Alex Beaulieu-Marchand’s highly creative and technical rail section. 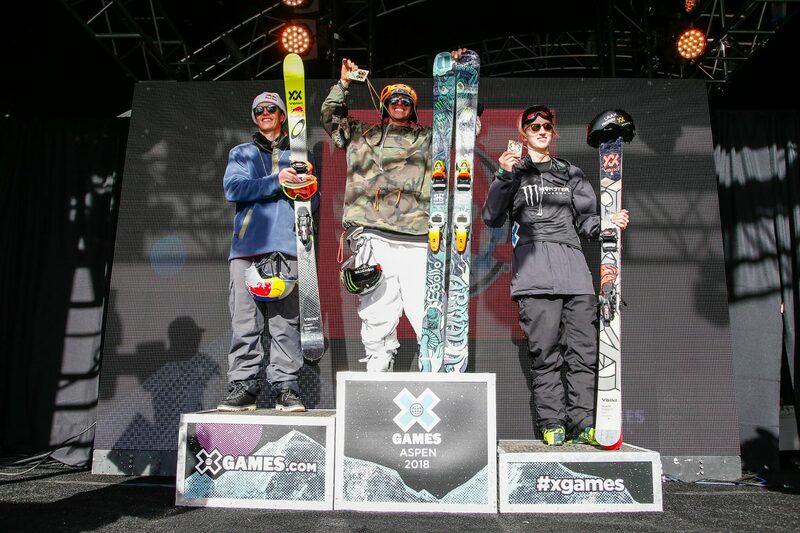 Thus concludes the freeskiing portion of this year’s Winter X Games, and what a wild ride it’s been! Men's ski slopestyle final results. With an 84 in 8th place, the level was obviously very high! Knights and Queens are History: Long Live the Audi Nines! The Eddy Flip. A new dub 14?